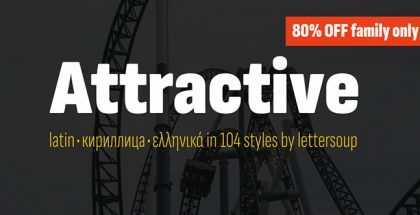 we have the pleasure to show you the unique interview with our friend Charles Borges de Oliveira (www.borgeslettering.com) and his masterpiece the Desire font. After interviewing another great artist – the creator of best selling Charcuterie font family Laura Worthington (lauraworthingtontype.com), we invited her to ask 12 interesting questions to Charles revealing some unknown facts about his creative process. The Fontmatters team is very thankful to Laura for her support and for giving her best as an interviewer. Laura Worthington: You are very active with lettering and type designers through social media such as Facebook, how have those friendships influenced your work? Charles Borges de Oliveira: Facebook has been a great tool for connecting with other talented Artists. I’ve met a lot of really nice people through Facebook. Plus it is a good way to be inspired by viewing what is current in the world of lettering and design. LW: Who have been some of the most influential designers/colleagues in your life? CBdO: Well, there are a lot but some of the major influences have been Mortimer Leach, Mike Stevens, John Stevens and pretty much most of the lettering artists from the 50’s. LW: You have worked as a graphic designer on and off throughout the years, how has that influenced the type designs that you’ve created? CBdO: To me, having a understanding of design is crucial when designing letters. I am a layout artist so I carry that same mentality when designing letters. 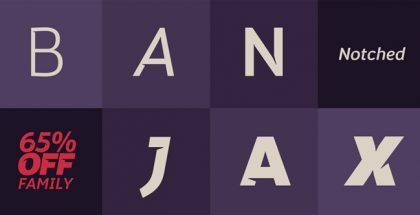 I view the letters more as objects than letters so I am constantly looking at the negative space. This helps with balance. LW: How much of your lettering is done through traditional methods vs. digital? CBdO: Most of my fonts start out on paper using a brush, pen or pencil. Once I have the basic form then I will take it to the computer and clean it up and move things around until I feel it looks right. 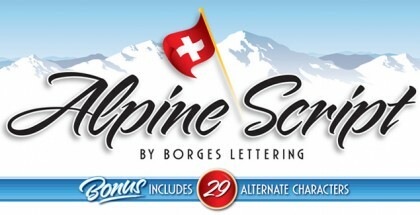 This picture here shows the brush letters used in Alpine Script and the finished letters in the font. You can see how some letters were replaced with others to make it work as a font. 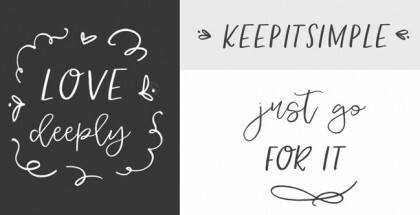 LW: What are some of your favorite tools to use to create lettering? CBdO: Pointed Brush, Pentel Color Brush, Tombow pen, Pencil, pointed pen, and showcard brushes (red sable). I also like langnickle nocturna brushes for roman lettering. LW: You have designed some very elaborate swash forms for Desire that work quite well in the midst of most words, enhancing them without interfering – how did you figure out the construction of them? Where there certain key letters or words you used as a basis to determine where the swashes and details would occur? CBdO: That is a good question. It took a lot of time to figure out where the flourish could go and also how not to interfere with the letters. I had to keep the swells above the baseline and below. I would just type out words (any that came to mind at the time) and see how the flourish would look going through the letters. Then I would make adjustments as I went along. LW: Initially, you had planned on Desire being an all uppercase typeface, but later on, you decided to add lowercase to it. Why and what was it that influenced this decision? CBdO: Yes, originally I was just going to make it a Titling face but figured I really should have the lowercase forms on there. I wanted this to mainly be a fully functional typeface with the icing on the cake being the alternates and ligatures. LW: There is an impressive amount of variation within some of the alternate forms, such as 28 different versions of the letter “A”. How did you develop so many different ideas for this? Did you do any research for this, such as consulting historic resources, etc.? CBdO: Well, all of the ideas for this came from my cultivation of looking at beautiful letters throughout my 20+ years in the business. Especially Disneyland. They have some amazing signs there that always inspired me. LW: Your father was a sign painter – how much of his skills, talents and passion for the craft were passed on to you? What are your earliest memories of learning about lettering and type? CBdO: My family has always been involved with lettering. My Father retired from the Boeing company as an Electrical Engineer. He did the electrical system on the moon rover. He did sign painting on the side but it did not last long being he worked at Boeing during the day and would rely on a answering machine to take customers orders. This was back in the late 70’s so cellphones and email were non existent. My Mother was a commercial Lettering Artist before becoming a full time homemaker. She was amazing too by the way. My Uncle was a master Sign Painter. So its in our blood I guess. LW: At what point did you figure out that you wanted to pursue lettering and type design as a career? CBdO: My first intentions and dream was to be a Journeyman Sign Painter. That was all I truly wanted in the beginning. But unfortunately when I got into the Sign Business computers were starting to become mainstream. I was fortunate to have studied with Clay Allen. He was my mentor and a good friend. Since most of the work was going vinyl, any hand lettering had to be done on my after hours. So I would continually practice at home with red sables (showcard) and pointed brush. I did commercial sign making for over 14 years and realized that I would rather devote all of my time to doing lettering and type design. So I got out of the sign business and started my own company, Borges Lettering. I’ve been having fun ever since. Though I do occasionally miss making signs. LW: Sarah Script was your first typeface design, and it’s an extraordinary design, made especially remarkable because it was your first typeface. Most type designers don’t get to that level until after they’ve designed a few typefaces, but this one was excellent the first time around. That is an amazing feat – what’s the secret to your success? CBdO: Thanks for the kind words Laura. Sarah Script was my first typeface. The story behind it goes like this: After the birth of our daughter Sadey, My wife was going to have to work at night after I got home from work. Her passion was to be a full time homemaker. So I was sitting in traffic one day thinking how we could make some extra money so she could stay home with the kids and not have to work at night. Suddenly it hit me. I’ll make a font. I’d been wanting to make a font for years before but never got the chance. At the time I was heavily into scripts so I figured that would be my first font. Of all the different types I could have made I choose the hardest. Plus I had no idea how to make a font. So it was a learning experience trying to figure out how to make a script and also a working font. After the kids would go to bed I would work on it at night and then get up at 5 and get ready for work. 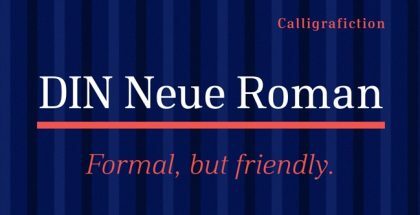 It was exhausting to say the least but after 7 months I finally produced my first font. The love for my wife went into that font. I decided to name it after her. And the rest is history. LW: You’re known for putting a tremendous amount of time and detail into designing your typefaces, can you break down how you spend your time throughout the process of bringing a design to life? CBdO: With anything I do graphically I try to always do the best I can. Even though it takes a long time I just feel it has to be right before I can honestly say it is done. Desire took 5 years because I knew that it had to be perfect to me. People kept telling me to just get it done and that it looked fine but only I knew when it would be ready. If I released Desire 2 years ago it would not have been up to my standards. The sad thing is I could have kept going on it. There were a lot more letters I wanted to make but at this point I am happily calling it finished.